Genesis 150 is a complete colostrum replacer providing 150 g globulin protein. 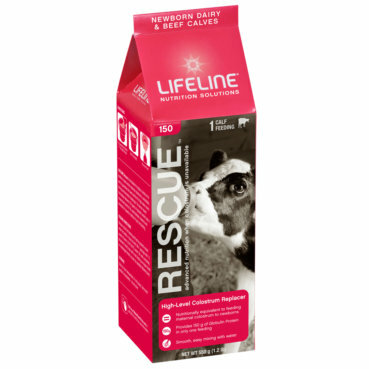 It is packaged in a single dose feeding bag for easy mixing and feeding. Genesis Multi is a concentrated colostrum product that allows you to choose the level of globulin protein. It is available in a 13.2 lb pail with a sccop provided. Each scoop provides 50 g globulin protein so you can either supplement or completely replace your current colostrum if quality is questionable. 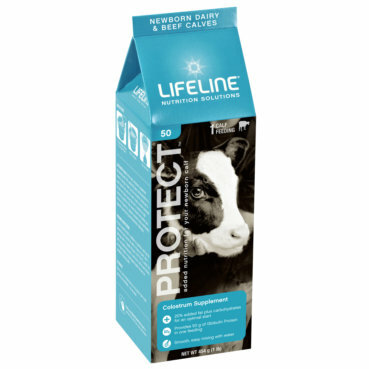 LIFELINE Protect Beef mixes in under 60 seconds! Protect Beef is the only colostrum supplement made especially for beef calves. Protect Beef is formulated with added fat and carbohydrates that provide the burst of energy beef calves born in harsh conditions need to stand and suckle on their own. Fed in addition to maternal colostrum, Protect Beef also provides 50 grams of globulin protein, plus essential nutrients for an optimal start. For best results, Protect Beef should be fed within the first 24 hours following birth.